Shirdi Sai Baba Stories,Leelas and Teachings. : Sad Story-By Anoynmous Devotee. Human life is full of misery and pain. That is the reason, everybody wants to get rid of these miseries and therefore follows various paths to attain the eternal bliss. But devotees experiences show that the easiest path to overcome the miseries is to keep firm faith on one's Guru/God/ Baba.Guru's grace not only reduces one's pain but also guides them to the righteous path of leading their life . Four days back I recieved a mail with the title "Sad Story".The experience of the anonymous Sai devotee is a narration full of extreme pain and sufferings which she has undergone in her life .As one will read they will be in deep pain and feel compassion about the suffere and would definitely pray to Baba to bless her overcome her suffering and lead a better life in His guidance. The anonymous devotee has seeked everyone's prayer for her to Baba and she believes Baba can overcome greatest difficulty and reduce her suffering . Since the content of the mail has some instances which cannot to be published openly in the website hence I have uploaded the original mail in downloadable format and devotees are requested to write their prayer,comment,suggestion,adviceto the anonymous Sai devotee below this post so that it can be read by her and she can draw strength to overcome her problems.Jai Sai Ram . Please treat me as your sister.Please publish my sad story.Please pray for me and ask the readers as well to pray for me.Please dont publish my name and contact details.Please forgive me for making it so long.I feel extremely sorry for making it so long.But please please please i need you and all the readers help.Please publish my sad story. Here are few messages from devotee after reading the story of anonymous Sai sister which were written in download page .I request devotees to put their comment below this post right here through comment form and not to write in the page of download.This will make reading their view,message and prayer convenient.Thanks. 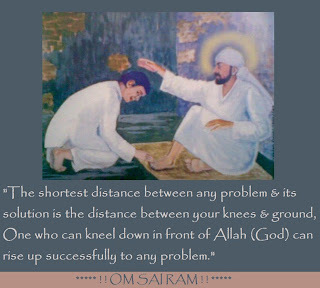 Only remember Sai in every moment of your life... Then he will be bound to help you out. 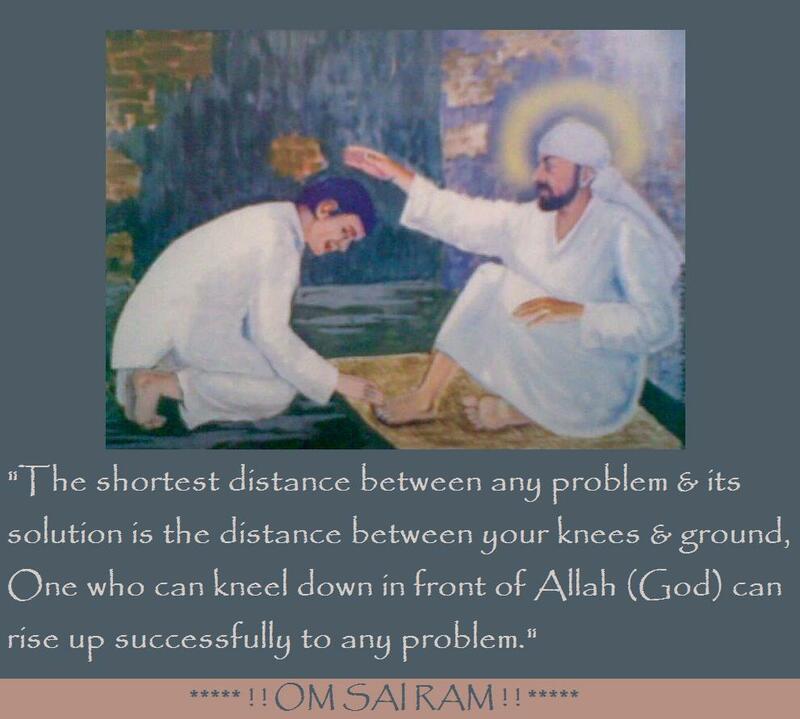 Stop complaining and start worshiping Sai. You can do this in many ways, like: Chanting Om Sai, Om Sai Ram or reading Sai Sathcharithra or just by remembering "Sai". God Bless You! Om Sai Ram. help of Baba. Have complete faith on him. may Sai baba help you n take you out of this family n i pray to sai baba that he will fulfill rest of your life with happiness and you get married with a gud person so that you wil never get a chance to remember this touture. If you cast your burden on Shirdi Sai Baba, he shall surely bear it. HAI SISTER IAM REALLY SORRY WILE READING THE MAIL ONLY I CRIED ITS REALLY PAINFUL BT UR HVE UNDERGONE ALL, I HOPE MY SAI WILL LISTEN MY PRAYERS MY SAI UR SAI MAA will HELP U @ BLESS U WITH ALL THE COMFORTS KEEP TRUST IN HIM. hai my dear sister really u came through terrible situations in life definitely our saimaa will help u..only thing i can say that you should read sai sacharitram daily that will help you a lot..and my prayers will be there for u..dont worry dear.. Please pray Sai Ram, be assured that He will take care you. Hello Sister , don't worry there are good people around you to pray for you. Meditate on baba and read satcharitra every day . Please hold onto to God. Completely surrender your all to HIS Holy Feet and just pray Mother Durga for strength and help.I've NO words to describe how SHE has helped me and I feel Lord Sai led me to her.Chant Durga Ashtakam, listen to her bhajans and very very soon you'll be filled with Bliss in your life. I'll pray for your good. First of all, Please get out from the house you are staying and live on you own with SAI's guidance. SAI is with you. Why you need to live in suffering with those who dont love you nor care for you. Live separately and get a good job. BABA will arrange everything for you. dont worry sister sai appa will be always with you and take care of you.read sai satcharithra daily.he is our heavenly father and will help you in all ways. I am sure Baba will show you the way. 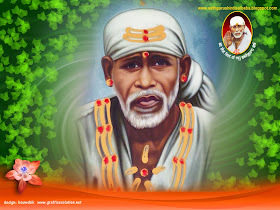 At Baba's inspiration I want to tell you observe SaiBaba's vrat for 9 Thursday. The formalities & the details of the vrat is given in this website. I will pray for your peace of mind & good life ahead. Have faith in Baba & He will surely pull you out of this misery & guide you everyway. My sincere advise to you, don't stop praying to Baba no matter what happens..He is testing you..I am sure something really beautiful is waiting for you..I hope when that happens you will write in this site and let the world know how great Baba is.. Even others do bad to you, keep being good to them, including your family..You should pity your father, he is lost in this world of finding sense pleasure...Pray to Baba for him to change as he age..
Everything will be fine. Sure you will get what you want such as marriage, happy family and stable economy...I am telling this confidently since I know the miracles of Baba..Its not just words..